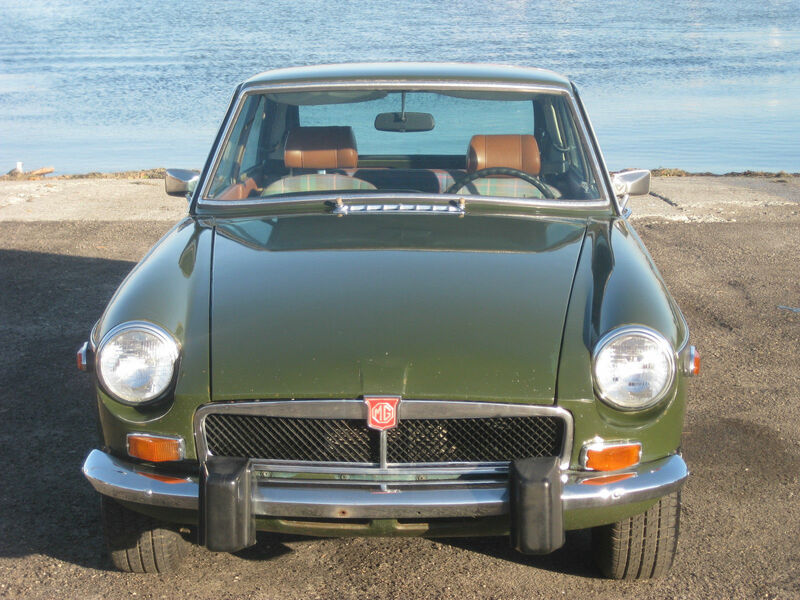 For your consideration we have a beautiful 1974 MGB GT. A very well kept example of a running and driving GT with the desirable overdrive option. This MG is a rust free California Car with matching numbers. The current owner has kept this car maintained to the highest standard, but due to relocation he can no longer keep this classic, so it needs a new place to call home. The exterior is a very nice Tundra Green and the paint is in decent condition considering its age (repainted in 1988). There is some touching up that has been done along the door shuts and on the hood(see pictures). The body is solid and completely rust free. The only damage known to have occurred to this MG is a minor fender bender back in the early 80’s where a car had accidentally backed into this GT. The chrome trim, front, and rear bumpers are in good condition. The windows are clear without scratches or cracking. The fit and gap all around is superb and all doors open and close properly. This MGB GT sits on four MG crested original wheels and tires that are functional but could do with replacing in the near future as they are old. The originally autumn leaf interior has been paired with tasteful plaid upholstery that really suits the car. The drivers seat shows signs of wear with some tearing and fading of the fabric. The passenger seat and back seat are excellent and look as though they have rarely been used. The autumn leaf carpeting throughout is in very nice condition and comes complete with MG crested rubber floor mats on the drivers’ and passengers’ side floor. The door panels are original and a bit saggy. The center console is tidy and complete. The carpeted trunk space is neat and nicely stows away the spare tire and a complete tool roll underneath. The headliner is perfect. 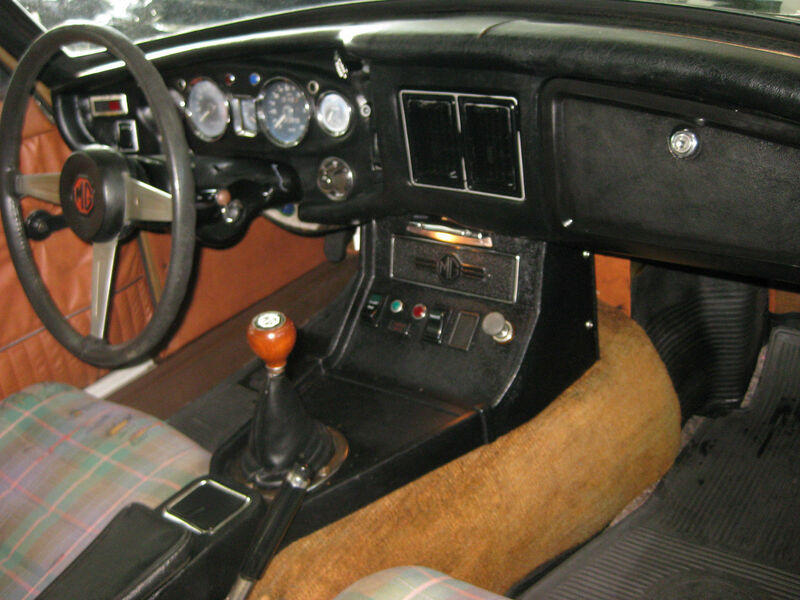 The dash is in good condition and complete with all gauges and switches in place but there is one crack on the dash (see picture) that could easily and affordably be covered with a new dash cap available from Moss. This MGB GT has been newly equipped with a factory SU fuel pump, new interstate battery, and a new clutch master and slave cylinder. This hatchback comes fully serviced with oil change chassis lube and level check and tune up that included changing the rotor, points, and condenser in addition to a carburetor and valve adjustment. From cold this MG starts right up with the pull of the choke, and settles into a nice healthy idle as it comes up to temperature. The gearbox shifts smoothly in and out of each gear and the steering is tight and responsive. The overdrive drops in and out properly, and the clutch pedal feels good. The brakes are firm and upon braking this GT pulls up nice and straight without pulling in either direction. The headlights, indicators, and brake lights are all working fine. The parking brake feels functional. All the gauges and lights operate properly, the reverse lights and horn are not. Overall the electrical looks very original. Overall this is a lovely example of an unmolested and well maintained British classic. 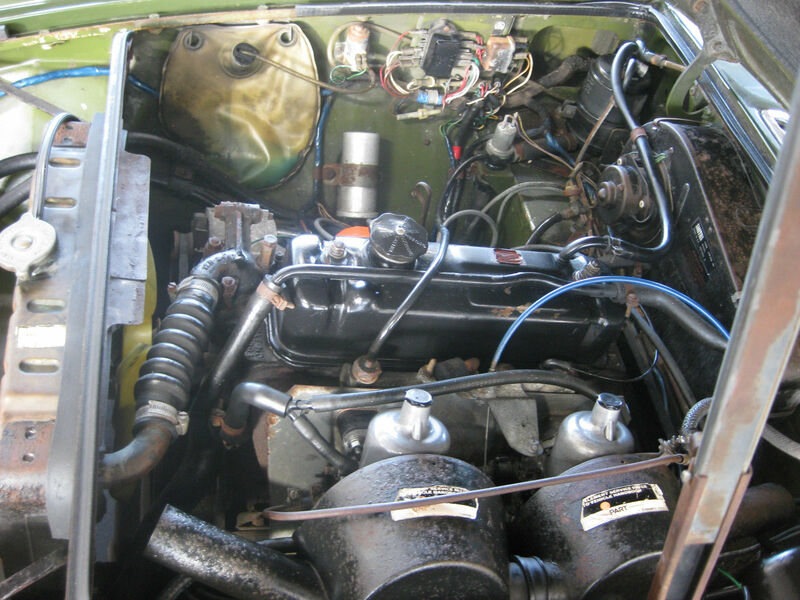 If you’re looking for a solid, rust free, original matching numbers MGB GT with overdrive then look no farther because you’ve found it. Bid with confidence as we have sold hundreds of classic cars on eBay with 100% positive feedback. As always I would advise inspecting the car in person if at all possible. Please call for an appointment or with any questions you may have, (310)833-1525 Monday-Friday 7am to 5pm Pacific time.